Is there a diagram on how to connect the CAN20, STK446, the speaker and CTKENWOODLEAD2 to the adaptor and main loom? Hi, I have a BMW E87 with steering wheel controls, do I need this adapter and a patch to install with a JVC head unit? Just to clarify, I connect these 2 wiring 2 each other and then with a patch lead and then the stock wiring harness? That is the correct. It will also come fit a instruction manuals. just a quick question, I have just recieved this harness and I'm just wondering what the speaker is for? The speaker is to retain all the warning tones. Hi I have an e87 2004 with rear parking sensors, if I want to buy a pioneer stereo, but want to keep my steering wheel controls, will this adapter work and does it have instructions? This is the correct steering control interface for your BMW 1 series. It does come with instructions. You will need the below patch lead for your pioneer radio. Did you mean if I cut out the DSP, this will work? My car is equipped with DSP, will there be any issues? Thanks for your question, it may be that you DSP is cut out when fitting an after market unit. Hi, I have a 2009 Z4 E89 and want to replace the stock stereo with a Pioneer one. What do I need in order to keep both steering wheel control and parking sensor sound? Any plug and play solution? 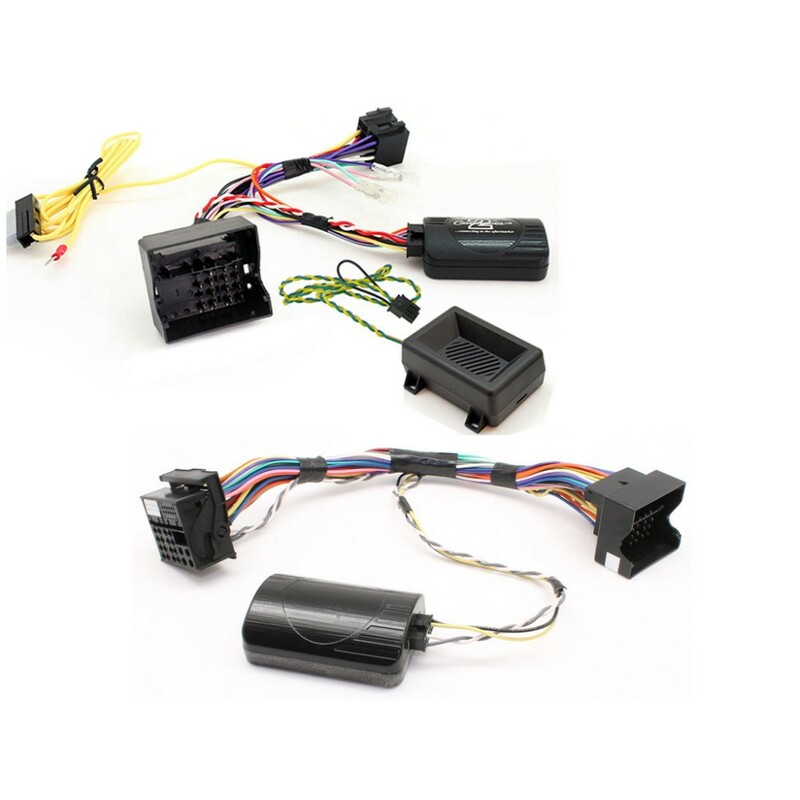 Please see all parts required for your radio fit, it is all pretty much plug and play, however, with the steering control harness you will need to find a permanent 12v. Thanks for your question, as long as you can fit a double din stereo into your vehicle & this is the correct cabling then yes. Hi, I have a '57 plate e87 BMW with steering wheel controls and front & rear parking sensors. Is the ctsbm009.2 the correct harness? Are there any other bits I need or you would suggest? Thank you. Hi, I'm looking to replace my Z4's factory audio system with a mechless DAB Bluetooth system. What's involved please? Parts and labour? Thanks, Ash. Can I use it on bmw x1? Yes that is the correct harness and I ahve also included the complete fitting kit if you require it. What attachments would i need to maintain the operation of my steering controls and parking sensors?